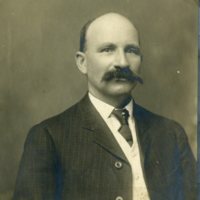 Photos of Manecke Cider Mill, 100 Block W. Harrison, Decatur, IL. 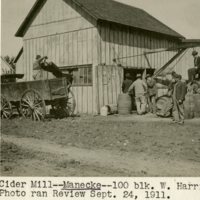 Photograph of Manecke Cider Mill, 100 Block W. Harrison St. men, wagon and barrels; photo ran in the Review 9/24/1911. 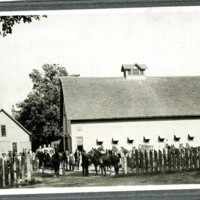 Photo Manecke Cider Mill, men and several wagons in photo which ran in the Review 9/24/1911.